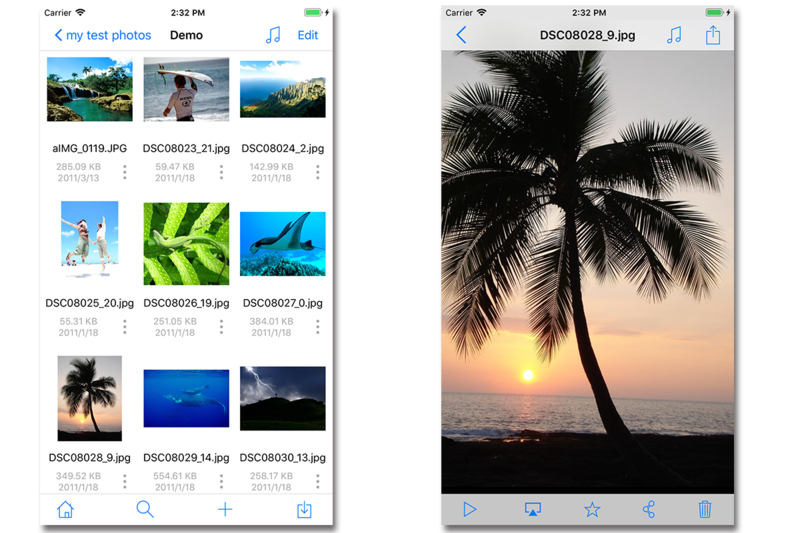 FE File Explorer is a powerful file manager app on Android, iOS and tvOS. It can access files not only on local storage, but also on your computer, NAS and cloud storages. 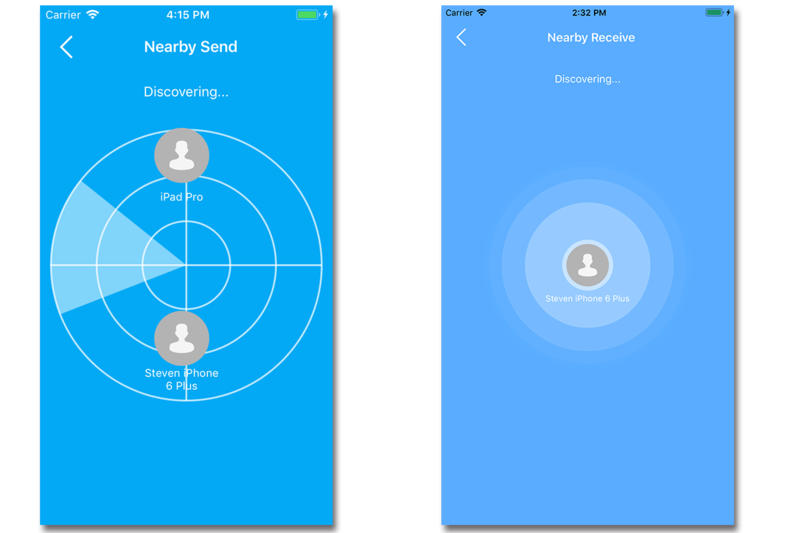 Transfer files from any location to any location. 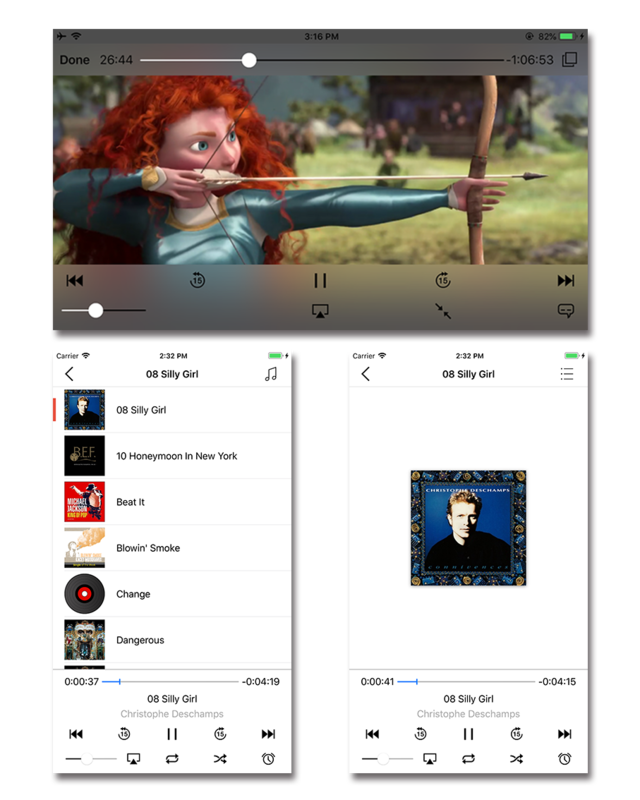 Stream movies and music to your Android phones and tablets. Directly view and manage documents, photos and files without downloading. Organize your files couldn't be easier now. Sort files by dates, names, types. Copy and move files into folders and sub folders. You even could do this by dragging and dropping on iOS. Access network shares on macOS, Windows, Linux via SMB/CIFS protocol. Access files on Time Capsule, West Digital, Synology and QNAP NAS. Access files on WebDAV, FTP and SFTP Servers. Copy files between network shares, cloud storages, iPhone, iPad and Android devices. Directly copy files between two computers, from computer to Google Drive, or from Google Drive to Dropbox. You can transfer files from anywhere to anywhere. Nearby File Transfer is very powerful feature. 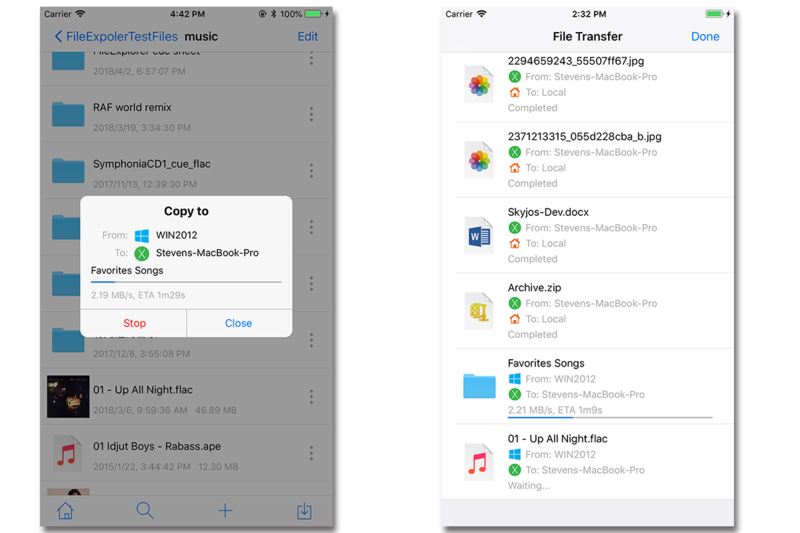 It can transfer files between iOS devices or Android devices without Wi-Fi or LTE connection. Just put two devices side by side, then you're ready to transfer files. Documents can be directly opened in FE File Explorer. 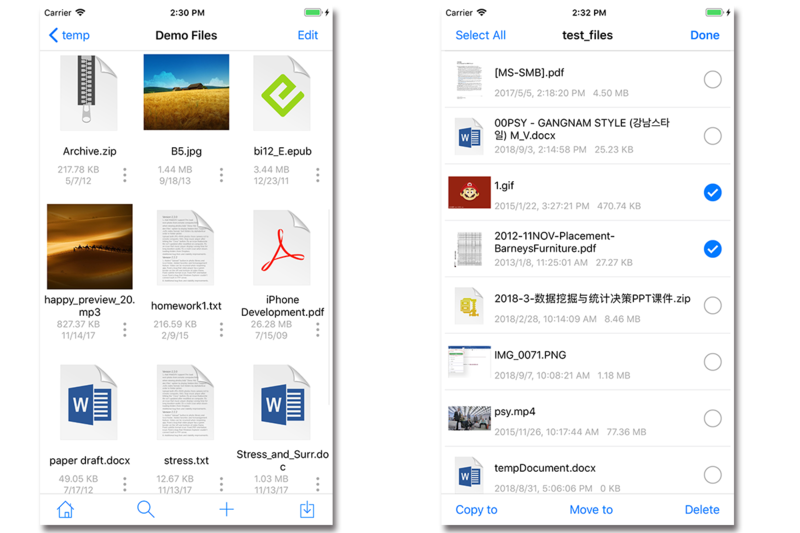 However, if you want to edit PDF, office documents and iWorks documents, You need load the document from the extension of FE File Explorer in the regarding app (Adobe Acrobat app, Office apps or iWorks apps). Read the user guide for details. FE File Explorer can play almost all major video and music file formats. JPG, PNG, GIF, CR2, NEF, ARW, DNG etc. 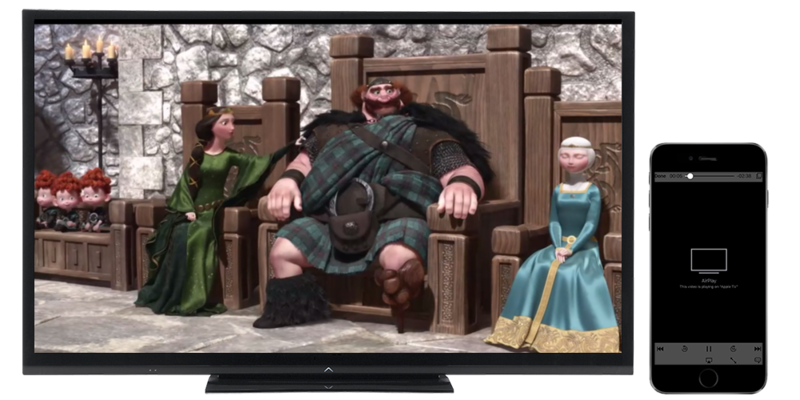 Your videos, songs, photos as well as slideshow can be played on TV via AirPlay or HDMI cable. 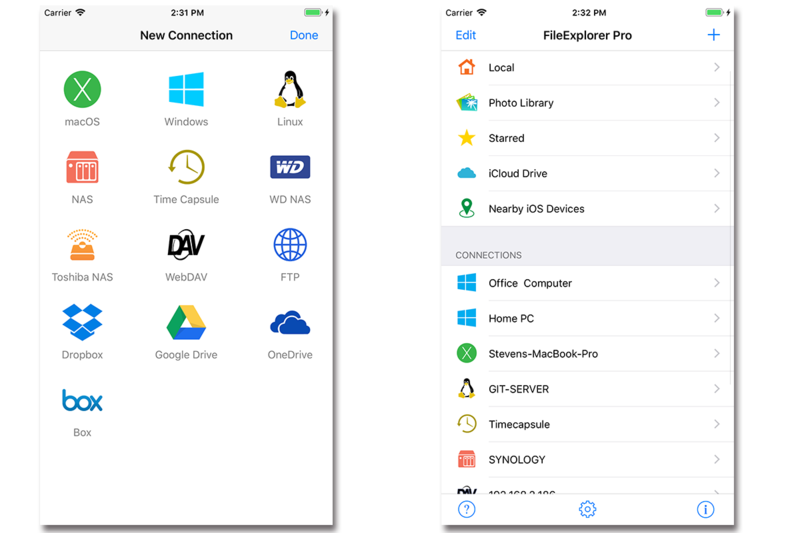 FE File Explorer has two versions: Pro and Free on App Store and Google Play. You can try the free version before purchasing.